My mom had suggested we take a walk, and I was looking forward to both the company and the fresh air. "I'll meet you outside," she said. I smiled and replied that I'd be just a minute. I put on my shoes and grabbed my purse. Just as I was about to leave the house... Panic attack. Accompanied by physical illness. I started hyperventilating, praying this wasn't happening, Beads of sweat formed on my forehead. I suddenly felt like I was going to fall over. All typical panic attack stuff. Maman rushed back into the house when she heard me, held my hand and wiped my forehead. "It's okay. Just sit and relax. Have a Gravol. We'll go out another time". "No, I know how much you wanted to go for a walk. I'll be fine. Just give me a minute". "It's okay. Don't push yourself too hard. I'm not mad". I was calmed by her words, and yet... I felt even worse than I had when I was bent over the sink. Not only are my anxiety disorders interfering with my life; they're making hers more difficult, too. And I know it's not my fault, she loves me no matter what... But sometimes I hate myself just a little bit because Panic is a pain for everyone it touches. Do you ever feel guilty because of your anxiety disorder(s)? 1. It's not a sure thing. There's no such thing as a sure thing in treatment for chronic illnesses, but... Cutting out gluten and waiting months, or even a year, to see if it's helped at all is not for me. I'd rather continuing exercising and eating healthy when I can, practicing self care and taking my medications. That's the closest there is to a sure thing for a spoonie. 2. I don't have the strength. Gluten-free eating takes careful planning, grocery shopping and cooking or baking. You can't just buy a frozen pizza or pick up a sandwich at the cafe down the street; you have to diligently read the ingredients to be sure no gluten is lurking in your food. Eating out, even in a metropolis like Toronto or New York is difficult. And all your go-to recipes need to be altered. That is, if you have the spoons to cook in the first place. 3. It's expensive. If you don't have the strength to prepare your own gluten-free meals (see #2), you're stuck eating out at one of a handful of celiac-friendly eateries or paying an arm and a leg for prepared foods sans gluten. Many spoonies, including myself, aren't able to work as much as they'd like, and don't have the funds to keep up this lifestyle. 4. It's triggering. As someone who's had an eating disorder, I find cutting anything out of my diet incredibly difficult (emotionally). I can't help but be dragged back to that place in my mind where I think, "if I'm cutting out gluten, maybe I'll lose weight! Maybe I should cut out dessert too! And this and this and this! And then I won't be fat anymore, people will accept that I'm not lazy; they'll realize I really do have a legitimate illness. I'll finally be thin and acceptable to society". And then I can't get out of that head space. Do I really want to risk it, for a chance that I won't be as tired or sore? No. My mental health is just as important as my physical health. 5. I have no definitive medical reason to stop eating gluten. Is the huge lifestyle change of cutting gluten from my diet worth the slight chance that my health could improve a little? Definitely not. 6. I love bread. I know this might be kind of a silly reason, especially compared to the others on this list... Besides, gluten-free bread exists. I've tried it. But it's not the same. If I had to subsist on it I could, but I absolutely love food and I'm not giving up my favourites without reason. No sad salads for me! 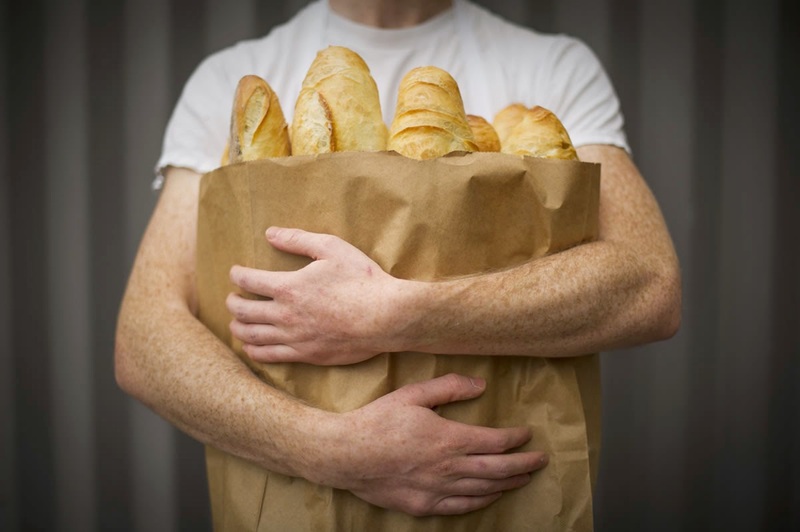 Are you gluten-free, or would you try a gluten-free diet?